After months of speculation and intrigue, two of MLB’s biggest free agents in recent memory (Manny Machado and Bryce Harper) signed massive and record contracts. After months of speculation and intrigue, two of MLB’s biggest free agents in recent memory (Manny Machado and Bryce Harper) signed massive and record contracts. Machado’s 10 year $300 million contract ($30 million AAV) and Harper 13 years/$330 million contract (a new MLB record at the time) ($25.4 AAV) not to mention Nolan Arenado’s eight-year $260 million contract (AAV $32.5 million) undoubtedly come at time when the data analytics are changing the style of the game. And yesterday, the Anaheim Angels locked-up cornerstone outfielder Mike Trout to a 12-year contract $430 million ($35.8 million, on average annually), the largest in sports history, all sports. While Harper and Machado’s exorbitant asking price of a 10-year contract arguably kept many MLB owners out of the discussion, it didn’t stop two teams from biting at a long-term deal, maybe just a little longer than some expected. Machado’s contract will see him play until he’s 36 (unless he opts out in after the 2023 season) and Harper in Philadelphia until he’s 39 (no opt out clause). Trout’s contract will see him until his 40th birthday with the team he’s played for since his rookie year in 2011. On the heels of this, the NBA is nearing a crescendo of free agency interest heading into next season with names like Kevin Durant, Kyrie Irving and Kawhi Leonard all likely to command lots of free agency money and a likely abundance of potential suitors. Why? And are there economic and financial risks of super-utility or super-star players over time? 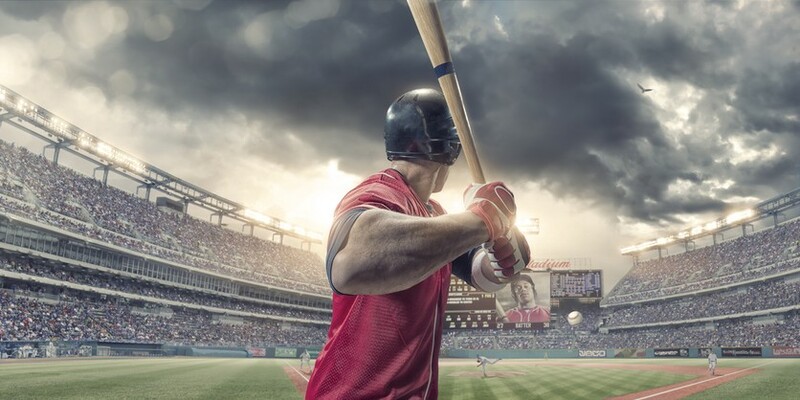 Data analytics are rapidly changing both sports. From few number of innings pitched to increased value of the three-point shot all aspects of the game are being analyzed. “Moneyball strategizing” works, case in point: the New York Mets augmented their offseason of big name signings for Robinson Cano and Edwin Diaz by adding solid mid-level players like Jed Lowrie, Wilson Ramos and Keon Broxton with no mention of Harper or Machado. Van Wagenen and other select owners are clearly out to show that there’s an ability to build a contending team around several versatile above-average players versus one spectacular player. Nevertheless, some teams and owners are still willing to go after a ‘super star’ to lead the team despite potential risks injuries or lower production with age and many high profile player busts. Or maybe there’s a new era upon us where they’ll all have the longevity of a Tom Brady. With extraordinary advancements in player training, diet and recovery, maybe 40 is really the new 30 on the field and court. The MLB Competitive Balance Tax for the 2019 season is $206 million. Teams exceeding that threshold pay a progressive tax based on ‘repeat’ offenders and the amount above the tax, meaning club exceeding the CBT threshold for the first time must pay a 20 percent tax on all overages. A club exceeding the threshold for a second consecutive season will see that figure rise to 30 percent, and three or more straight seasons of exceeding the threshold comes with a 50 percent luxury tax combined with clubs that exceed the threshold by $20 million to $40 million are also subject to a 12 percent surtax. Meanwhile, those who exceed it by more than $40 million are taxed at a 42.5 percent rate the first time and a 45 percent rate if they exceed it by more than $40 million again the following year(s). A handful of teams are expected to be near the CBT at opening day and could exceed it as the season continues. At the same time a handful of clubs are projected to have a payroll around $50–60 million. Teams at the high-end, do risk financial pressure if a high-salaried player or two don’t perform or get injured which could be exacerbate ticket revenue declines. In the NBA, media coverage of free agency has reached a fever pitch. The NBA’s “second season” is drawing substantial fan interest due to the star power of the coming free agent class. The value of superstar NBA contracts are comparable to those in the MLB. From 2014 to 2018, the average annual value of new contracts at the top of the market grew from approx. $22 million to over $34 million (11% CAGR). But there is little doubt around whether or not a superstar player will get a max contract this summer. For one, higher NBA salaries have kept pace with increases in media rights fees, helping to neutralize the impact on team’s financials. But moreover, the NBA caps free agent contracts at a maximum of five years. Shorter contract terms relieve some of the heartburn owners feel when staring at the prospects of paying top-dollar for past-their-prime stars. Compare that to the 10-year contract signed by MLB’s Albert Pujols, over $85 million still due to the 39 year old. Beyond the pure constraints of the salary cap, NBA contracts have been trending shorter at all player levels. In the summer of 2015, the average duration of a new player contract was 3.1 years. By the summer of 2018, that average slid to 1.8 years. Team management and ownership across the league has a heightened focus on maintaining a flexible roster and nimble balance sheet. The result has been a substantially higher rate of player movement and roster turnover. The league surely is considering the potential pitfalls of such a league structure. Does year-to-year roster turnover negatively impact quality of play? Is the league’s brand hurt when fans increasingly root for a player (regardless of which team he plays for) over a team? The NBA is seeing interest in what is turning into one of the better free agency classes. For one, higher NBA salaries are coinciding with huge increases in media rights. But it’s important to remember that both are moving in pace with each other. Additionally, NBA free agency contracts are markedly shorter. While Trout, Harper and Machado made headlines with their 10-year + contracts, the maximum amount of years you can sign for an NBA free agency contract is five and further restrictions on dollar amount. Will moneyball and data analytics change future free agency going forward Or will the lure of a mega-star for mega-bucks win out in the long run? It’s still too early to tell. Certainly, marketing and branding around super-star players has always been a key to sports. What remains true, however, is that owners still have ample amounts of free agency money so spend at the end of the day. So irrespective as to how it’s divvied out, this isn’t anticipated to affect the league economically for the foreseeable future. And, the free agency arms race is just beginning.